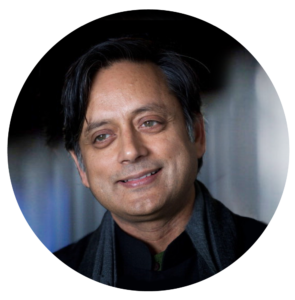 An author, politician, and former international civil servant, Dr. Shashi Tharoor is a second-term Lok Sabha Member of Parliament (MP) representing Thiruvananthapuram, and Chairman of the Parliamentary Standing Committee on External Affairs. He has previously served as Minister of State for Human Resource Development and for External Affairs in the Government of India. During his nearly three-decade long prior career at the United Nations, he served as a peacekeeper, refugee worker, and administrator at the highest levels, serving as Under-Secretary General during Kofi Annan’s leadership of the organisation. Dr. Tharoor is also an author of sixteen books of both fiction as well as non-fiction. He is also a recipient of several awards that include a Commonwealth Writers’ Prize and the Pravasi Bharatiya Samman, India’s highest honour for overseas nationals. Milind Deora was one of India’s youngest union ministers, overseeing the departments of Telecommunications, IT, Shipping and Ports. He was first elected to India’s Lok Sabha (Parliament) from Mumbai in 2004 at the age of 27. Prior to entering politics, Milind worked in the private sector in the United States and India and setup one of India’s first digital public-private partnerships to provide economically underprivileged students free access to Information Technology-enabled education. Milind remains an important national voice and harbinger for transformational change. 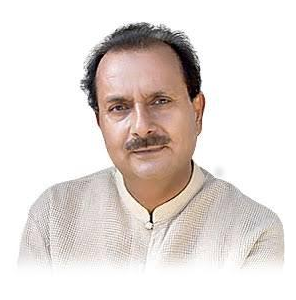 During his active political career, Milind spearheaded several important issues, including the historic Right to Information law and e-Governance. Millions of his constituents continue to benefit from his social programs in affordable healthcare, community sports and digital literacy. Ms. Szarita Laitphlang hails from the beautiful hill state of Meghalaya. She joined Indian National Congress at a very early age and is a worthy example of rising through the ranks owing to her sheer perseverance and commitment towards serving the people of this nation. She is well travelled and speaks multiple Indian languages. From the very beginning she has allied herself with the grassroots of this country and has efficiently served the people and the party at some of the toughest junctures in the past. 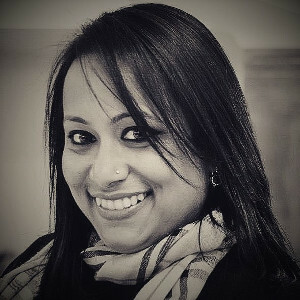 A graduate in English honours and Masters in Computer Application she currently is serving as the National Media Panelist of All India Congress Committee. In the past she has held Government positions such as Vice Chairperson for Meghalaya Resources and Employment Generation Council (Government of Meghalaya), Vice Chairperson for State Reforms Development Commission (Government of Meghalaya). She was one of the first female candidates to be short listed during the Talent Hunt for Indian Youth Congress across India. She has also served as the National Coordinator in-charge for North East States during her tenure with the Indian Youth Congress. Has served in the All India Congress Committee (AICC) as Election Coordinator for various Election bound States as well as War Room planner and Strategist and Assistant Pradesh Returning Officer for Organizational Elections for AICC. Within the State Congress she has served as Vice President, Meghalaya Pradesh Youth Congress and is currently serving as Secretary, Meghalaya Pradesh Congress Committee. An IVLP Alumni (United States) she was one of the select few to have represented India as one of the observer during President Barak Obama’s Election Campaign. She has also been the Co-Chairperson for CII’s Young Indians (Meghalaya). Mr. Salman Anees Soz is an international development expert and economic commentator. He is a former World Bank Group officer with experience across a range of economic development issues in countries around the world. He is also a political and social activist associated with the Indian National Congress. Mr. Soz serves as a National Media Panelist of the Congress Party. 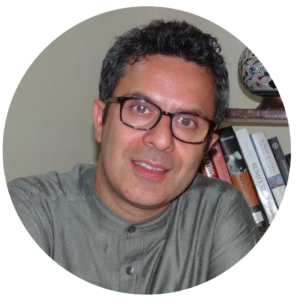 His professional interests include emerging market economics, political economy, and South Asian politics. His opinion columns appear in major media outlets. He is also a contributor to the Hudson Institute, a Washington, D.C. think-tank. Mr. Soz serves as a consultant for the World Bank Group and is a recipient of the institution’s “President’s Award for Excellence”. Dr. Geeta Reddy is an accomplished medical professional and senior politician hailing from erstwhile Andhra Pradesh and current Telangana. She has served multiple terms as an MLA and Minister with cabinet rank in the Andhra State government. During her term as the cabinet minister for Major Industries, she was instrumental in the setting up of a Mahindra and Mahindra tractor plant in her constituency (Zahirabad) which is the largest of its kind in Asia. She also played a key role in bringing a NIMZ (National Investment and Manufacturing Zone) unit to Zahirabad – Telangana which will not only led to creation of lakhs of jobs but also stimulate local development. She also worked closely with the then Chief Minister of undivided Andhra Pradesh to setup the ‘Sri City’ project which has become a model manufacturing hub today. Presently, Dr. Reddy is serving as an MLA from Zahirabad constituency in Telangana and the Chairperson of the Public Accounts Committee in the Telangana Legislative Assembly. 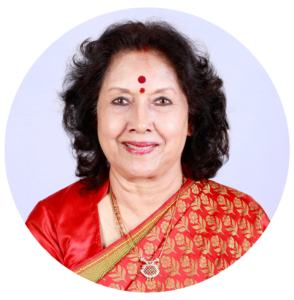 Dr. Geeta Reddy is also a well-recognized philanthropist, holding numerous Directorships and board-level positions in a number of organizations dedicated to social welfare in areas ranging from Child Welfare, Sports to Academia.